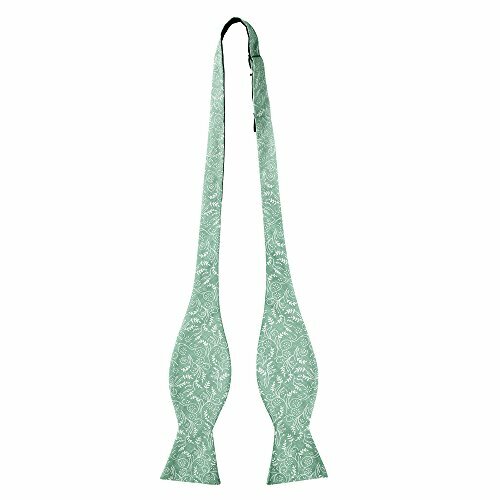 New from Jacob Alexander, is a floral printed men's self-tie bow tie made of 100% cotton . Once tied, the bow will measure 2.5 inches high and 4.75 inches wide. Fits up to a size 21 neck. This item is part of the trademarked Jacob Alexander collection of men's and boy's neckwear and accessories. Currently containing dozens of colors in a great array of cuts and sizes, the collection is known for its quality and attention to detail. Color matching is done carefully so that we are able to match up all components of the collection.